I've somewhat lost my train of thought in these reflections on the topic of contemplation which I've been pursuing, or have meant to be pursuing, in this blog. No matter. I'm not going to go back and try to recover it. Instead, I'll forge ahead. What, then, is contemplation? That is the question at hand. And, more to the point, how exactly does St. John of the Cross understand this spiritual experience, this moment of mystical, interior prayer? How does he seek to grasp what is going on in us? And, specifically, how does he talk about it? What words does he use? In order to begin somewhere, I'll turn first to what is, for me, John's richest, most expressive, and, yes, most accessible work, The Living Flame of Love. There let's look at some numbers from Stanza 3 of this book where John discusses that delicate and decisive threshold, that point of transition in our life of prayer, where one goes from meditation--as one's habitual, or most common, most regular way of practicing prayer--to the beginnings of a more intimate, immediate, more experiential, and less methodical type of prayer, that which Carmelites call contemplation. Here, then, are the key words St. John of the Cross gravitates towards when speaking of contemplation. Together they comprise a kind of descriptive profile, if you will, of this spiritual experience. (1) Receptivity, which is to say, Passivity. "It is God who in this state is the agent; the soul is the receiver" (LF 3.32). (2) Love and Knowledge together, that is, a Loving Knowledge. "God is the giver and the one who works in [the soul], by according spiritual goods in contemplation (which is knowledge and love together, that is, loving knowledge)" (LF 3.32). (3) Detachment and Silence. "It is impossible for this highest wisdom and language of God, which is contemplation, to be received in anything less than a spirit that is silent and detached from discursive knowledge and gratification" (LF 3.37). "Once individuals have begun to enter this simple and idle state of contemplation that comes about when they can no longer meditate, they should not at any time or season engage in meditations or look for support in spiritual savor or satisfaction, but stand upright on their own feet with their spirit completely detached from everything" (LF 3.36). Receptivity. Passivity. Detachment. Silence. We can also add to this list Simplicity and Idleness. It is in this way, through the gift of contemplative prayer, that a Loving Knowledge of God is imparted by no less than God himself, although almost certainly we do not experience his action in us directly. (4) The gift of this loving knowledge, therefore, is Hidden, Delicate, and Secret. "The blessings which this silent communication and contemplation impress on the soul, without its then experiencing them, are inestimable, as I say. They are most hidden unctions of the Holy Spirit and hence most delicate; they secretly fill the soul with spiritual riches, gifts, and graces" (LF 3.40). "Since it is God who grants them"--these riches, gifts, graces just mentioned--"he does so in no other manner than as God" (LF 3.40). The manner of contemplative prayer, so to speak, is the manner of God, the way God works inwardly with human beings in and through our life of prayer. He does so in the manner of a free receptivity, which is to say, through our loving openness to him and to his will for us, sustained in detachment of heart and an inner, prayerful, recollected silence by which we are present to his presence in the here-and-now. The reason for this is simple. God, of course, since he comes near to us in the manner of God, never forces himself upon us. Rather, he draws near as Spirit, as Breath, only when he is first awaited and anticipated, gladly and freely--only when he is quietly, not insistently, summoned, that is. We are, after all, talking about prayer. God comes forth, we might say, into such moments of prayer when summoned by the sacred prospect of an inner Sabbath of the heart and spirit. And there, in that moment of spiritual closeness, God's manner with us is simple. He keeps this inner Sabbath with us. He does not busy himself, but remains idly present to us, so to speak. And this gift of himself to us is never noisy, it is profoundly, abidingly silent, peaceful. God is not out-and-about in us. Rather, he is at home, intimately, delicately, secretly dwelling in us, hidden even from ourselves. To see and know God in such moments of Sabbath rest is to be infused with a kind of knowledge of him not made up of thoughts and words, but of being itself, a loving, peaceful presence. It is a loving knowledge of God, a knowledge that is not heady, bookish, abstract, but inwardly thick with love. 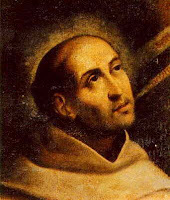 St. John of the Cross does talk about contemplation as a "state." "Once individuals have begun to enter this simple and idle state of contemplation"--as quoted above. But it is a state of prayer, not of some mental or psychological deviation from our normal state of awareness. It is, in other words, an experience of God's presence, of his drawing near, that comes forth from within our regular practice of interior prayer--from within, that is, the discipline of our daily practice of prayerful interior recollection as we learn to still our minds and detach our hearts from any other agenda than to be with God. Contemplation is not a state, therefore, in the way one would speak of someone falling into a state of ecstasy or of rapture, of falling into a kind of trance. It is not a state of interior abstractedness. One remains alert throughout, maybe even hyper-alert, although it is an alertness without strain or tension, be that tension one of body, mind, or spirit. And one remains likewise self-aware, though not self-absorbed or self-conscious. In fact, just the opposite. Contemplation has about it something of that self-forgetfulness that can befall us whenever we are listening intently to music, for example, or find ourselves getting caught up in reading a good book. Moreover, this contemplative state generally doesn't last very long, unlike, as one might assume, a state of rapture or ecstasy generally would. One isn't, as it were, caught up into it, remaining suspended there, so to speak. Rather, in a moment of prayerful, deeply interior quiet, with a sense of spiritual freedom and invigorating freshness, God's Spirit draws near "in no other manner than as God." Then, just as quickly, his Spirit passes on, and the moment is gone. It is for good reason, then, that Scripture speaks of God as Spirit, as breath or wind, as a gently murmuring breeze.